A rustic, modern design with industrial touches, the Dakota anchors the room with its robust presence. 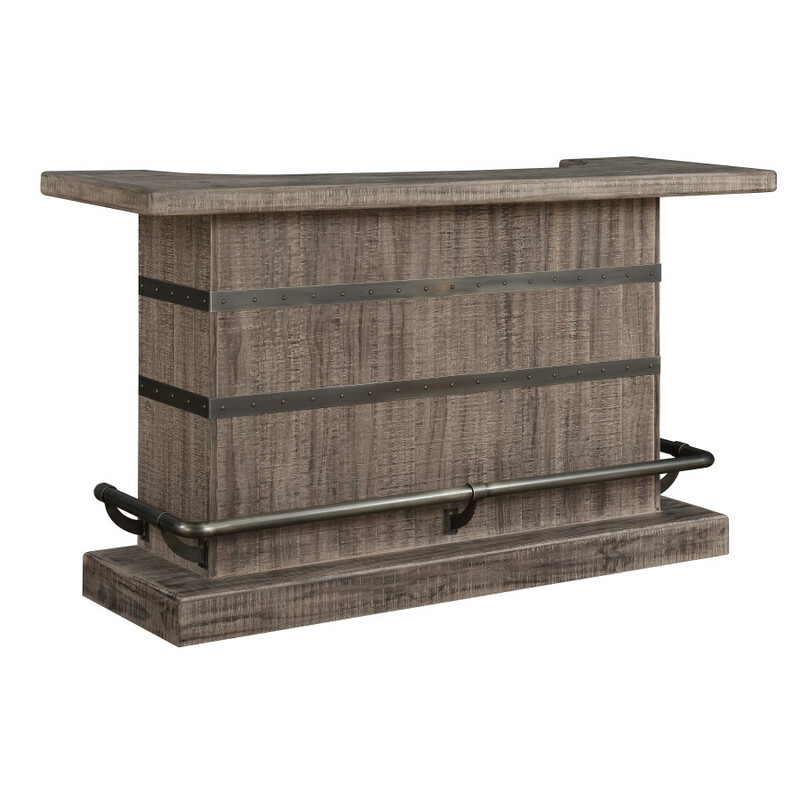 The reclaimed pine in a weathered brown finish is accented with gunmetal black and worn bronze metal details. Classy enough to have an everyday presence in your main living space, yet casual enough to live in the bonus room, the Dakota bar is sure to look great in your home.